Norris & Parker/Sketchy Theatre – LIVE! Regular readers of the blog will know that I nearly died of laughter during Norris & Parker’s last show. 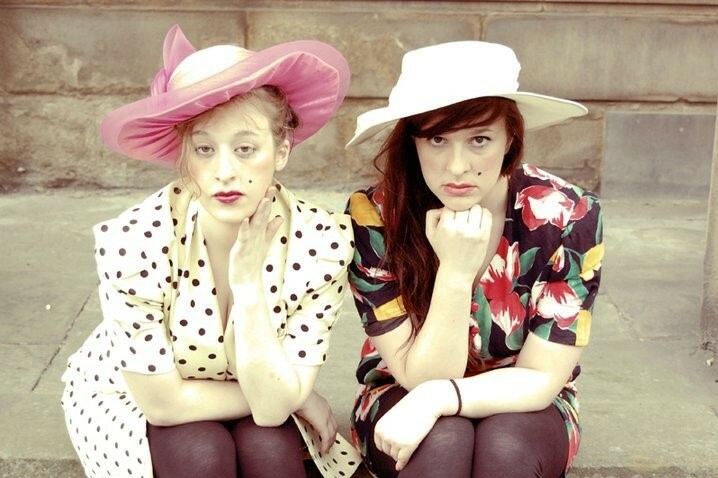 This latest show is previewing their Edinburgh Fringe content, and its safe to say that Edinburgh is set for a treat. The tale of the two young struggling actress’s lives is interspersed with songs, sketches and larger-than-life characters – and plugs for their new mobile ringtone. Particular highlights include Irish farmer Paddy, over-enthusiastic theatre leaders Sally and Claire (complete with radioactive coloured shellsuits) and long-suffering Anne with her overbearing husband Giles. Both comediennes are skilled at comic timing and characterisation. Neither takes themselves too seriously leading for some hilarious self-deprecating moments. Both are also very engaging with the audience, frequently breaking the fourth wall. As a preview show, not everything works, one or two of the sketches fell a little flat, but this was more than made up for by moments like the Tydlesley Widows Choir taking to the stage and butchering your favourite tunes. Special note must also go to the voiceovers that bridge sketches. Norris & Parker also prove that nothing manages to phase them as one audience member was unwell at the end of their set proving that these two gifted ladies have the professionalism to match their creativity. Watson & Oliver should watch out – there are some new girls in town! Sketchy Theatre’s irreverent set bolts out of the starting gate with a blistering exchange between two TV presenters whose thinly veiled insults to each other raise a good response from the audience. From there, things get more and more twisted as we travel down a very surreal path. 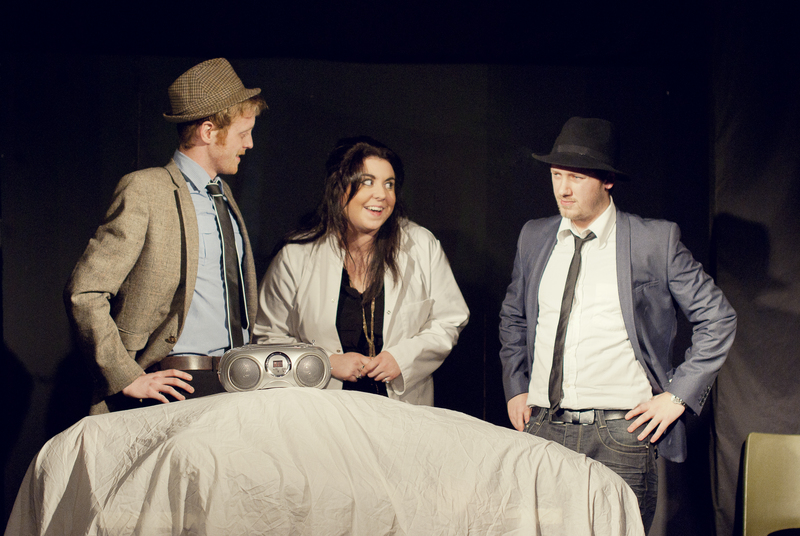 The trio of Ilaria Passeri, Ciaran Mullins and Dave Wake take us on a journey from the worlds most polite mugger through to the sales pitch from hell and ending with a side-splittingly funny wedding from a vicar with Tourette’s. I thought I was going to cause the roof of the Kings Arms to collapse with the ferocity of my laughter! Many of their gags rely on innuendo or farce, and as the situations get increasingly ridiculous, the laughter from the audience increases. Some gags work better than others, one exchange between a market seller flogging cards rumbled on too long without incident. This said, the trio have a clear rapport with each other. Sketchy Theatre are slightly variable, leaving you bemused one moment to hysterically crying with laughter the next as belies the nature of their act. Interspersed with musical interludes (including bizarrely, the Murder, She Wrote theme), the presentation is slick and polished. They are also aware of the limitations of the format they’re working with, and on occasion, break this to comic effect. With a bit of tweaking, they could be real contenders to go far. Tickets for tonight’s final performance at The Kings Arms available from here.